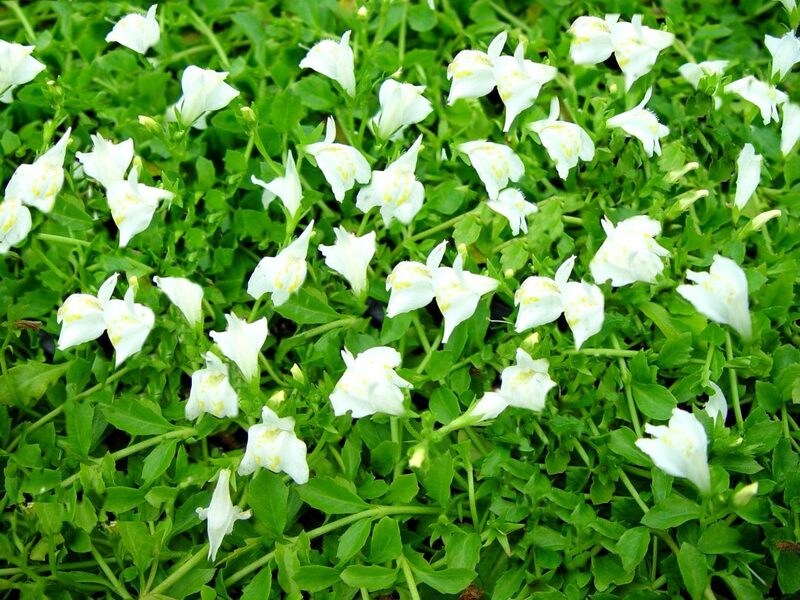 Mazus reptans Alba is fast growing with bright green leaves that creep and spread, hugging the ground as they grow. The first of spring brings on an abundance of small white flowers which consume the foliage. 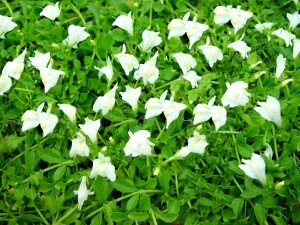 White Mazus is a remarkable plant that withstands an incredible amount of abuse and looks good doing it! 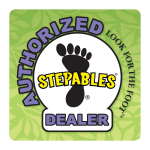 Use Mazus as a lawn substitute, to fill crevices, between stepping stones, or fill in over flower bulbs. It is also excellent in containers!